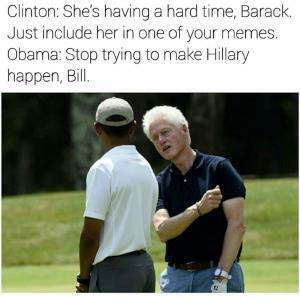 Clinton: She's having a hard time, Barack. 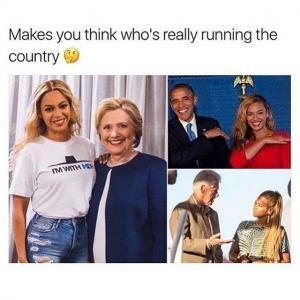 Just include her in one of your memes. 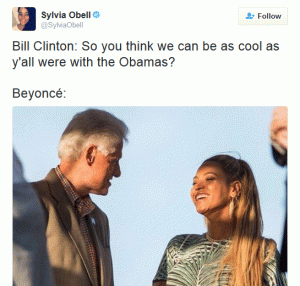 Obama: Stop trying to make Hillary happen, Bill. 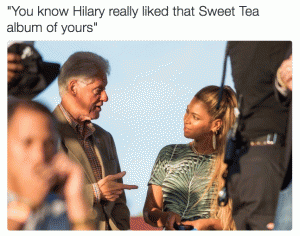 "Jay I too got caught with a "Becky with the good hair" We called her Mminica, but if your Pimp game strong you good"
"You know Hillary really liked that Sweet Tea album of yours"
Bill Clinton: So you think we can be as call as y'all were with the Obamas? 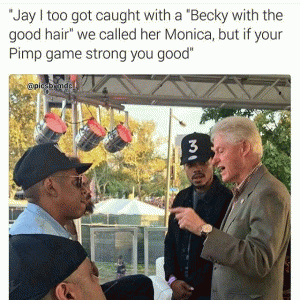 when monica is under the desk and hillary walks in. oh, trust me. there's been plenty. 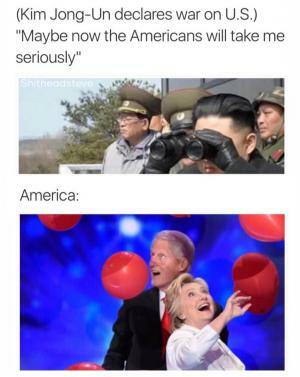 "i didn't trust hillary's mouth.